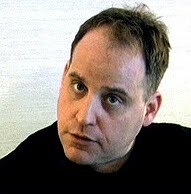 Benjamin Fulford is a voice that I a have been listening to from time to time when I feel the urge to delve into the nitty gritty of how the planet operates and who is doing what. As with all information I take it with a grain of salt or two , and the data that Benjamin delivers is no different. Each voice of the apocalypse brings with it a unique perspective that helps in shining a light on this constantly changing reality, we call planet earth. There is no single voice that has all of the answers or that can claim their perspective is the right perspective. We should allow everyone to make their point and then each of us can determine as individuals or fractals of the whole , whether we are in alignment with that particular idea or construct. Remember unity consciousness, or love, or being is about inclusion, not exclusion , which means all things are allowed expression , because we are infinite, there are no limitations at all. So check out Ben and make you own conclusions, listen to his information and see if it has any benefit to you. I find that allowing information to flow thorough me is the best for me , it allows me to remain a clear channel that sees all perspectives , all truths, all lies, all information, without clinging to any of it. I see it as just “The Show” knowing that these things are within all that is, are subject to it. This is true sovereignty. True sovereignty is simply knowing that “No-Thing” holds dominion over “Being”. That all things are within being or consciousnesses. So from this very open , very awake persepctive have a listen to Benjamin Fulford. Just listen to his message , forget about the man , his name , his past, his careers , ” Just listen to the Message”. In this video below from earlier this year , Benjamin makes a plea to the ruling bloodlines to stand down and allow humanity the freedom it deserves, the freedom that it is. So that we can enjoy the abundance and infinite nature of all that is, this is coming regardless, so they may as well hang it up now, he says , or face the consequences. Most of us that are awake have no desire to punish , becasue we realize from a greater persepctive we had a collective agreement that allowed these bloodlines to manifest . So now it’s simply about us as individuals choosing which collective , which version of reality , which version of earth “We” want to align ourselves with. Remember each of us is a fractal of universe, each of us are universe , each of us are a universe , so each of us can experience, can resonate with , can align ourselves with any version of realty we want. Because we don’t change the world , the world doesn’t change. “Out there ” does not change. We do, and this fundamental change that occurs within each of us allows us to shift to a version of reality that we are most in alignment with vibrationally. So ask yourself are you with Benjamin or not, personally I want to shift to the version of reality where these bloodlines step down and let us find our own way , we are ready now, I am ready now , for a new paradigm, without war, without suffering, with abundance for all. Check out the books below by Benjamin Fulford !